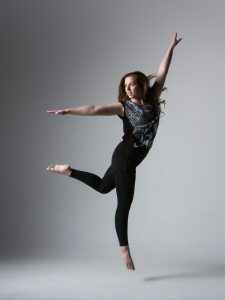 Anna James, age 20, is a Dance Performance and Teaching student at the University of Central Lancashire. She is also a volunteer and dancer with DanceSyndrome. 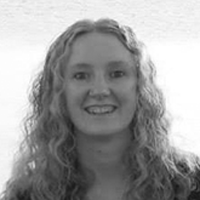 Here she shares her story about why the charity is important to her. 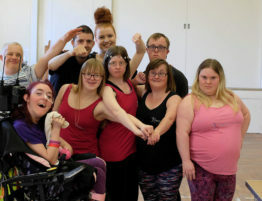 “DanceSyndrome performed at UCLan in the first few weeks of my first year at University and their performance was amazing! Around Spring time 2016 I starting looking into what I could get involved with over the summer and I remembered DanceSyndrome and wondered whether I could get involved. 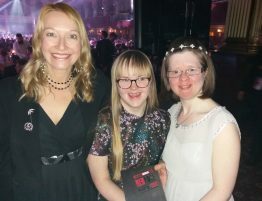 I applied to be a volunteer and met with Dawn (DanceSyndrome’s Managing Director) and then I first got involved in the sponsored dance in July 2016. From then on I attended the Wednesday workshop at Plungington Community Centre with Jodie, plus the performance group sessions. This meant that I was able to take part in the filming on Crosby beach (below) and the Orbit performances in 2016/17. Dancing makes me feel free, connected with spaces and people, and energised. The best thing about dancing is that I can discover how my body moves and experiment finding new ways of moving. Learning how my body can develop new movement vocabulary. 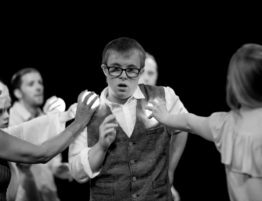 Working with DanceSyndrome has enabled me to meeting new people with this shared interest and explore ways of moving with the individuals and as a group. I have learnt new ways of delivering workshops, assisting and overall enjoying the outcomes. 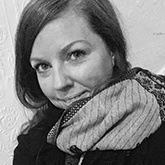 My career in dance is shaping to be around community dance, I am interested in working with people and supporting their development, whatever it may be. I am looking forward to graduating in May! But I am super excited to be performing with DanceSyndrome at the Edinburgh Fringe in August. I could not perform last year as I was working abroad, however, I have been to the Fringe before as an audience member and the whole environment is exciting, so I am excited to perform and watch other amazing performers. 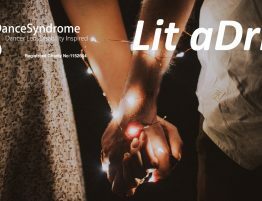 DanceSyndrome brings no worries to my life; at the moment I am in my final year of university so it can get really busy. I enjoy attending the workshops and rehearsals and simply moving and interacting with all of the members. 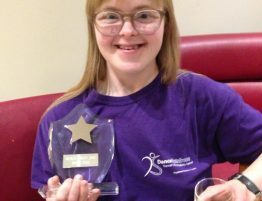 Despite her busy life, Anna took time out last week to walk the Preston Guild to raise money for DanceSyndrome’s Edinburgh Fringe campaign – it’s not too late to sponsor her, you can find details on her Just Giving page. We are incredibly grateful for all that Anna does to support DanceSyndrome and we wish her every success on her graduation in May! EDIT: Congratulations to Anna on being awarded UCLan Student Volunteer of the Year at the Centre for Volunteering and Community Leadership (CVCL) Awards ceremony on 4th May 2018! It’s very much deserved!